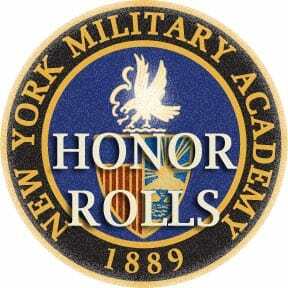 To achieve Honor Roll status, students must have an overall average of 85 with no grade below 80. Justin Bonsu, Jaylen Davis, Jolin Edmondson, Isabel Espinar-Sanchez, Bill He, Alex Hu, Thomas Koumas, Jakai Lester, Noel Maldonado, Sean Ren, Cathy Xu, Joseph Xu, and Jason Zheng. To achieve High Honor Roll status, students must have an overall average of 90 with no grade below 85. Joshua Antoine, Roberta Bjornman, Evan Bobal, Ariel Farzanne, Ethan Hassane, Alex Huang, Zuzanna Kulinska, James Thierer, Yafei Wen, Serena Yang, Robin Zhao, Judy Zhou, and Eric Zhu.